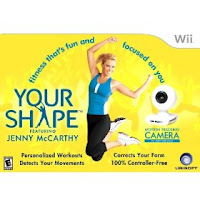 Congratulations to Jessica (jjak2003) for winning Your Shape! An e-mail was just sent to Jessica and she has 48 hours to respond. It took a little longer to validate entries as there were some who did not meet the mandatory requirement. Thanks to everyone who entered and worked hard with blog entries and tweets in trying to win it as I wished I had more than one to giveaway!